C3yoyodesign has announced a new version of the Speedaholic for 2019, and it looks great! Coming soon to YoYoExpert! Start from the Basics! Speedaholic is Back! C3yoydesign Speedaholic 2019 is perfect for beginner players. The ball bearing with silicon response which provides enough spin power for entry level players to learn new tricks. Not requiring any lubricant oil or special setting. You just need to attach the string and you can start to practice your tricks!!! 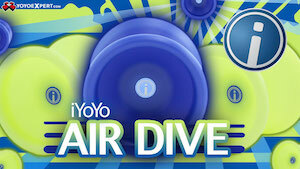 C3yoyodesign has put together the most epic Valentine’s Day promotion video of all time! Simpson and Denny Ko created this yoyo love story video…with Denny singing! They’ve also submitted the video to help Denny get into a singing contest in Hong Kong…so the more likes this video gets, the better. Pick up a C3yoyodesign Speedaholic, and like the video on YouTube! 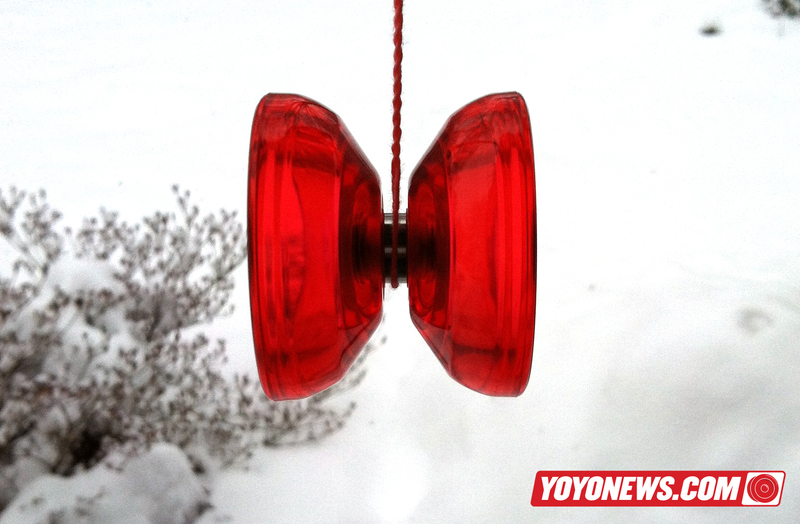 The first 2014 World YoYo Contest special edition yoyo has been revealed….a super limited Speedaholic by C3YoYoDesign! The first 200 registered competitors get one of these limited beauties for free. Still not registered? You should do that RIGHT NOW! A very small number of these will be available to the public as well, but those are going to disappear quickly. The contest is just a few weeks away…see you there! Chua Wei Xuan from Team C3yoyodesign Singapore has a new video, and it’s a perfect representation of just how great the Singapore yoyo scene really is…its beenone of the most stable and thriving scenes in the world for more than a decade! And when you have a scene like that, you get players like Chua Wei Xuan…smooth, great eye for trick construction, and he plays with style and confidence. Awesome! Yoyos used are the Speedaholic, Level.6, and Dymension by C3YoYoDesign. The C3YoYoDesign Speedaholic is a competition-quality plastic yoyo in the <$15 price range from Hong Kong manufacturers, C3YoYoDesign. Known mostly for their higher end models, C3YoYoDesign produces some truly great metal yoyos for modern players…but making good yoyos out of aluminum and good yoyos out of plastic are two very, VERY different things, and while their previous attempt at plastic (Alpha Crash) brought mixed responses from players, C3 seem to have really locked down the performance plastic market with the Speedaholic. The yoyo plays like much of the C3YoYoDesign releases…fast. From the moment it hits the string, this yoyo really wants to move and it handles complicated play extremely well. It’s a very well-balanced design, both in that it spins smooth and also in that it plays quick and light while still feeling solid and substantial in the hand. It holds spin really well for a plastic yoyo, and the stock response works great. The wide, comfortable body shape holds up nicely to string rejections and even horizontal play, although being an all-plastic yoyo it’s obviously not ideal for horizontal. For a young player looking to move up the competition ladder, the Speedaholic is a fantastic bridge into the world of higher-end, unresponsive yoyos. The C3YoYoDesign Speedaholic is a beautiful plastic yoyo. Available only in translucent colors, the clarity of the actual yoyo halves is fantastic and makes for a very attractive yoyo that shows up well on stage (particularly the red and green versions). The hub and rim stickers are hand-applied during assembly, so you will get some occasional variance from one Speedaholic to the next, but nothing noticeable unless you’re really looking for it. The art and graphics are well done, and C3YoYoDesign is one of the very few small manufacturers who really brand and present themselves with a lot of style and polish. 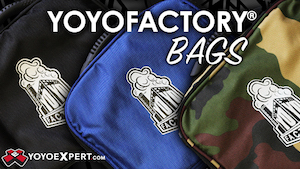 Even using a typical small plastic square box as packaging, C3YoYoDesign opts for a heavier grade of plastic, matte printing, and a much more professional layout ultimately giving their products a premium look. The C3YoYoDesign Speedaholic retails for $13 – $15, and is an absolute category killer. Stacked up against similarly priced plastic yoyos from much larger manufacturers, the Speedaholic holds it own against the best and completely decimates the rest. Malaysian retailer 28Spin hosted a mini-contest to promote the C3YoYoDesign Speedaholic, one of the best plastic releases of 2013. Local players showed up to prove that you can do pretty much anything on a $15 plastic yoyo if it’s a killer $15 plastic yoyo made by a company like C3YoYoDesign. If there’s one thing we can take away from 2013, it’s that C3YoYoDesign put out the most amazing catalog of product and player promo videos of any company out there. A lot of companies did some really amazing stuff, but as far as just straight-up promotional videos, C3YoYoDesign put everyone to shame. And here we have their last video for the year, featuring a good chunk of their Asian team rocking out with the Speedaholic, one of the best plastic yoyos released this year. Featuring Peter Pong, Ethan Wong, Jackey Li, Ng Wang Kit, Shinya Kido, and Mimi Thian. Vietnamese player Neostyle throws down a great promo video for YoYoAccessory.com and C3YoYoDesign’s newest plastic yoyo, the Speedaholic. It’s great to see the scene in Vietnam continue to mature and the level of play keep increasing…nice work! Mimi Thian, one of Malaysia’s top yoyo players, shows off C3YoYoDesign’s new injection molded plastic yoyo, the Speedaholic. Retailing for $15 or less around the world, the Speedaholic is getting a ton of praise from early buyers and is available now from your favorite retailers. Mimi runs it through some solid tricks, and there’s been a bit of progression in her trick construction since her last video…great to see her growing as a player! Hong Kong player Jackey Li throws down a nice video part with the new C3YoYoDesign Speedaholic, their new sub-$20 injection molded plastic yoyo. The Speedaholic is hitting stores now, and early reviews are overwhelmingly positive!